Welcome! 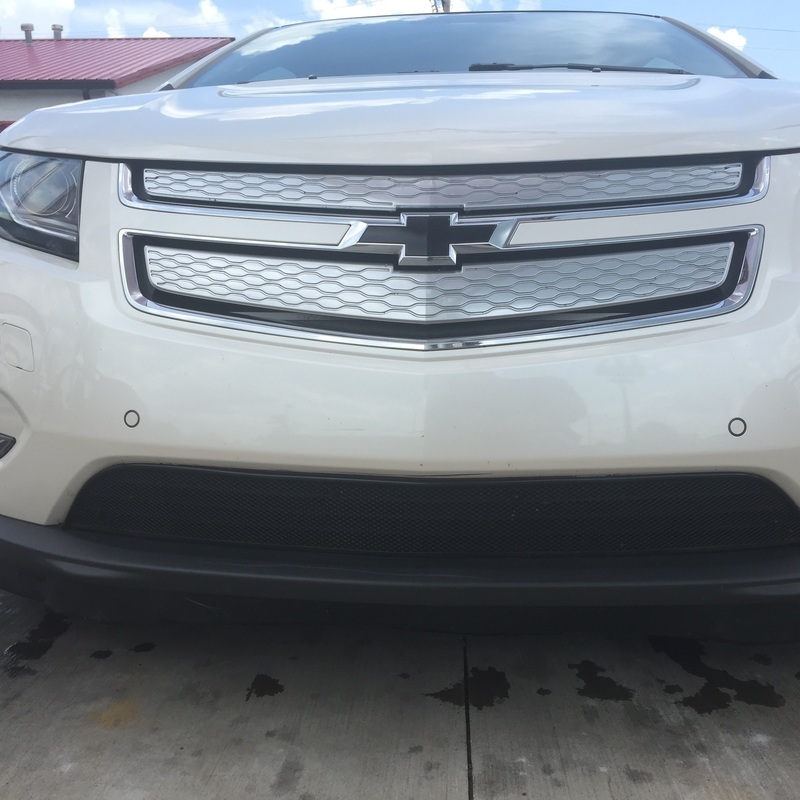 This is the home of the VoltShelf, VoltMat, VoltScreen, VoltPhone, and other great accessories for your Chevy Volt and Bolt. 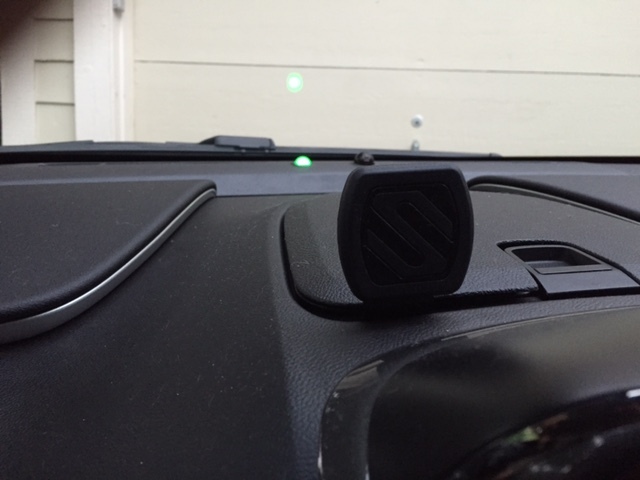 The VoltShop started with a simple idea: Simple, easy to install, easy to use accessories that make your car an even better place to be. We continue to improve and innovate for you. Even in a Motor Trend COTY winner, there is still room to improve and customize some things... And the Chevy Volt is no exception. The cargo cover just doesn’t do it for many folks. 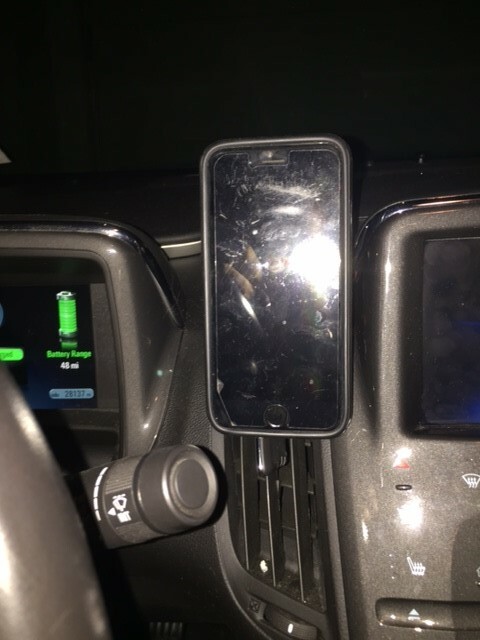 So when I brought home my first Volt in 2013, I immediately set out to right that wrong. With the first VoltShelf made, I told my wife that I thought there might be a few folks out there that would like one, too. As it turns out, I was right, And 5 years later, folks are still interested. We have continued to evolve the VoltShelf into a more refined and versatile improvement for your Volt. Along the way, we have introduced many other items that preserve, protect, and make our Volts and Bolts even better places to be. We have a few ideas that we hold dear. 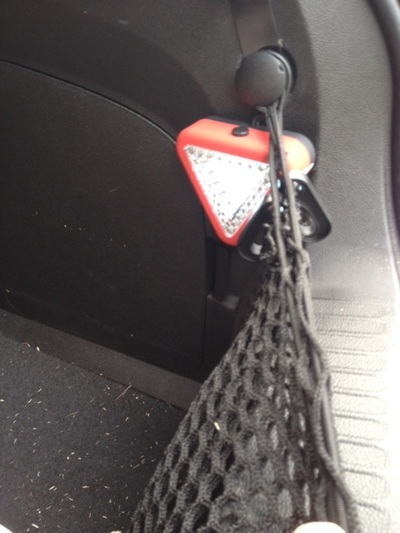 Simplicity of design, ease of installation, little or no permanent modification of the car, ease of use,.. Many folks don’t need to read the installation instruction for our items, but we send them anyways. If you hold most of our products up and look at a picture of them in place, everything should make sense. And they generally fit in a way that is pretty simple to understand. We don’t want you to worry that you have to wreck your new car to put something in, and we don’t want you to be afraid that you’ll never be able to get something installed. So everything is user friendly and as simple as we can make it. And yes, if you run into a problem or question, we are always right here to help. When I was very young, my favorite uncle one told me to find something people need, make it so they want it as well, sell it at a fair price, and treat every customer like your own brother. And if you did that, you would never lack for customers or friends. So when this whole VoltShelf thing got started copletely by accident, I just followed his sage advice. And I swore that I would never do things like so many businesses out there that manage to sell stuff in spite of how they treat customers, or what kind of crap they sell. Turns out that my uncle was right. And I'm making a lot of friends out there. You won’t find the things we make just anywhere, and we understand that you don’t buy them every day, either. So we want to be sure that your questions are answered and you know what you are getting. Questions are always welcome, and we are there before and after the sale. Email is always welcome with questions, comments and concerns. And you will get to me, the boss, and nobody else. Here is a quick look at the range of VoltStuff and BoltStuff that we offer, all custom items designed to help make your can an even better place to be. When you are done looking, click on the links at the top of the page to find everything you are interested in, description, prices, and ordering information. 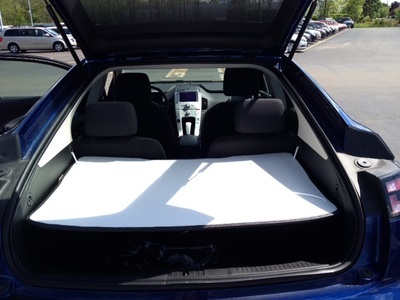 ​The VoltShelf is a simple, easy to install cover for the cargo area of your Chevy Volt. 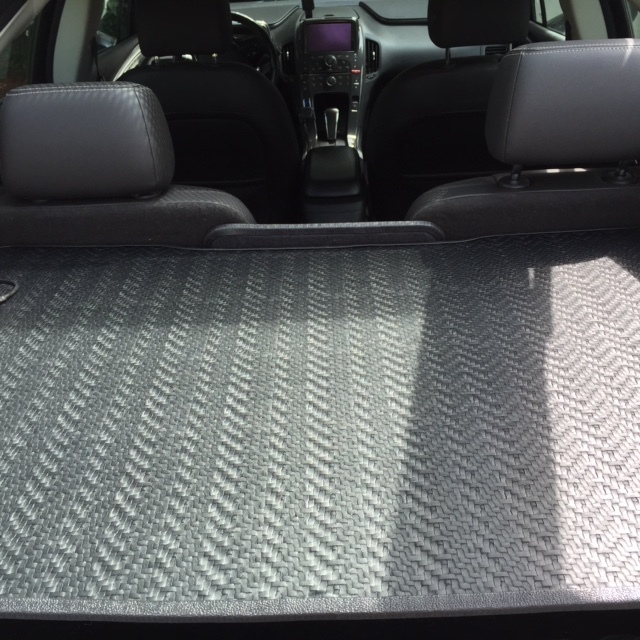 It replaces the fabric cover supplied by GM, giving you a more functional and elegant solution. All VoltShelf models lift automatically when you open the trunk. Increase the security of items stored in your car, store small, light objects on the shelf, and quiet noise from the rear of the car all at the same time. It also is very easily removed and stores on the floor of the cargo area then goes back up in a snap when you need it again. All VoltShelves are now available in team colors and logos. See the "VoltShelf Colors" page for more information. 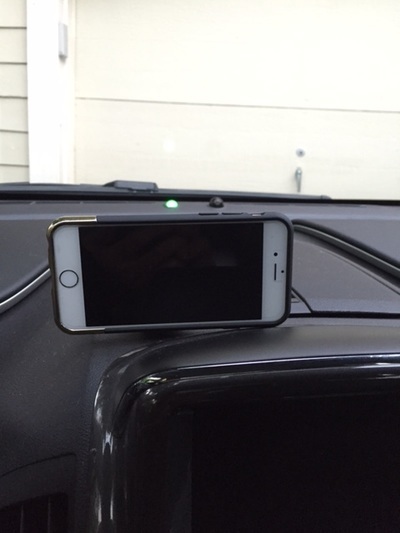 The VoltShelf is professionally built and finished to have an OEM look to impress everyone. 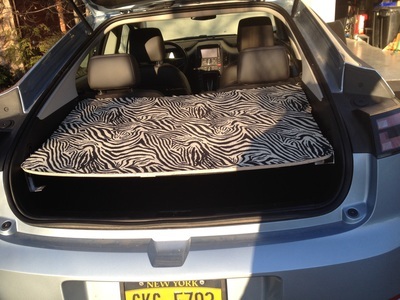 It is available in colors to match or contrast your Volt's interior and easily customized as you desire. It can also be built to order using colors or fabrics of your choice. Two models of VoltShelves are available. The VS g2 is for the 2016-18 Gen 2 Volt. 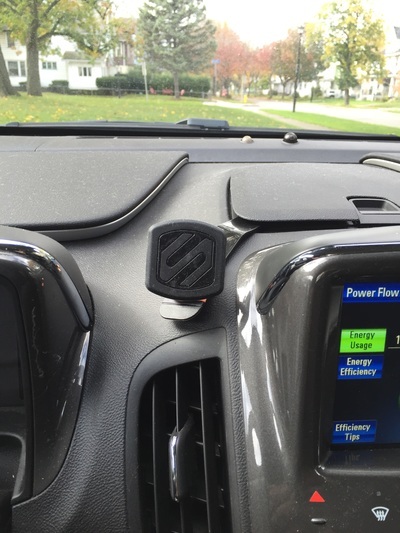 The VS g1 fits the 2011-15 1st generation Volt. 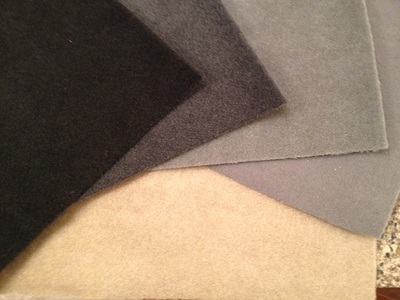 Both are available in a wide range of colors and materials to go with any interior. Check the ﻿Colors Page ﻿for current stock color samples. Each kit comes with the shelf panel, rear seat panel (VS g1 only), all the hardware and fittings you need, and complete illustrated instructions. 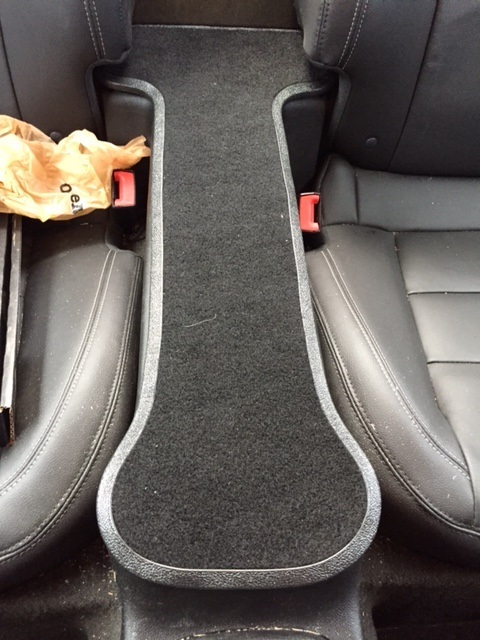 Initial installation in your Volt will only take about 15 minutes. After that, your VoltShelf can go in and come out in seconds. And when not in use, it stores right on the floor of the trunk. 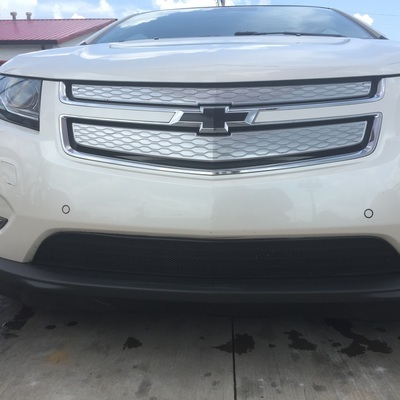 VoltShelf is the solution to a problem that many Chevy Volt owners didn't know how to fix until now. VoltShelf owners are raving about the look, the fit, and the finish. Get yours today! The complete VoltShelf kit is $180, including shipping anywhere in the Continental US. 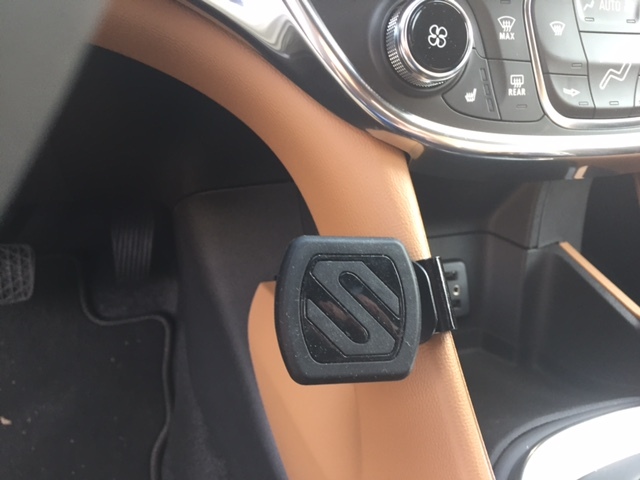 Premium leatherette upgrade is +$20-30. Shipping to Canada, UK, and Europe is available. Custom orders can be accommodated. To order any product from the VoltShop, simply email Stephen.ohara@rochester.rr.com. Include the items you are interested in, color choices, shipping address, and any questions you have. I'll get back to you with answers to your questions, order details, and payment information. Paypal, Zelle, Venmo and good checks are accepted. VoltShelves are custom built to your order, generally in about 4-5 days. VoltScreens and other small items can usually be shipped immediately. 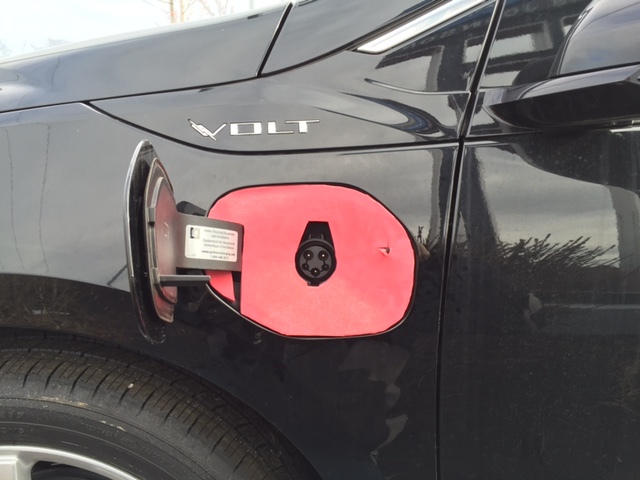 If you aren't sure of a color choice, feel free to include the year of your Volt and interior color. I'll be happy to run through the options and make recommendations. ​Be sure to check out the VoltScreen, also. 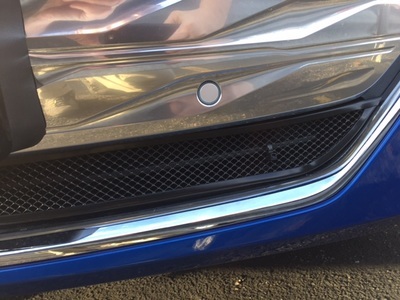 Your radiator is at risk of a puncture due to the design of the lower grill. The cost of repairs for this can be over $1500! The VoltScreen limits this risk by keeping larger rocks and debris from striking your radiator. These are available for Gen 1 Volts, Gen 2 Volts, and BoltEVs. 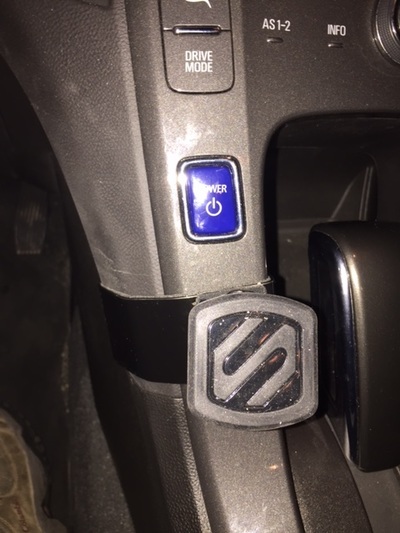 And we just added them for the Honda Clarity and Mitsubishi Outlander by popular demand. 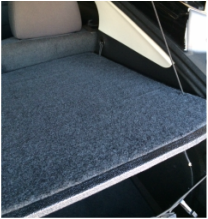 The VoltMat is a heavy duty, but still light weight, waterproof, and washable carpeted trunk liner. It will protect your trunk from damage and the elements. It is easy to install and remove whenever you need to. It can be rolled up for compact storage. 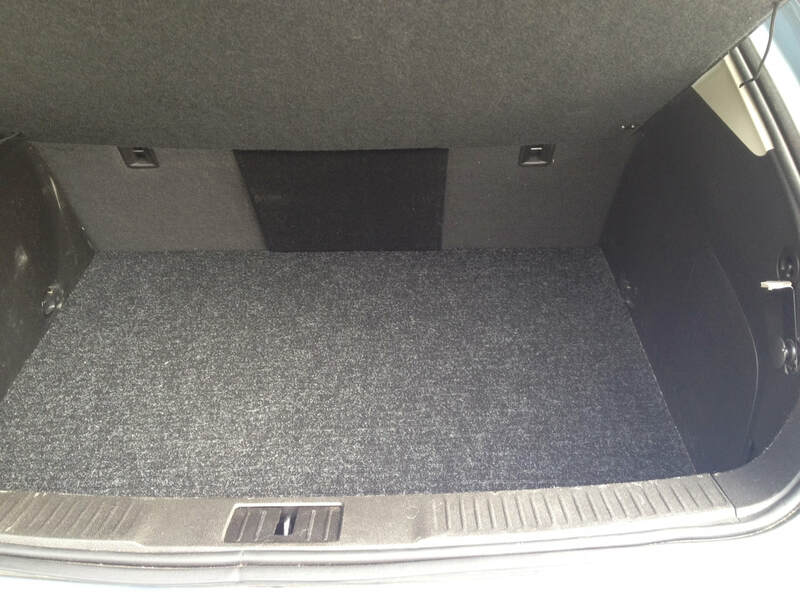 In addition to protecting the trunk, it adds a layer of insulation and sound dampening to the trunk floor to get rid of annoying noises that come from the electronics bay below the trunk floor. 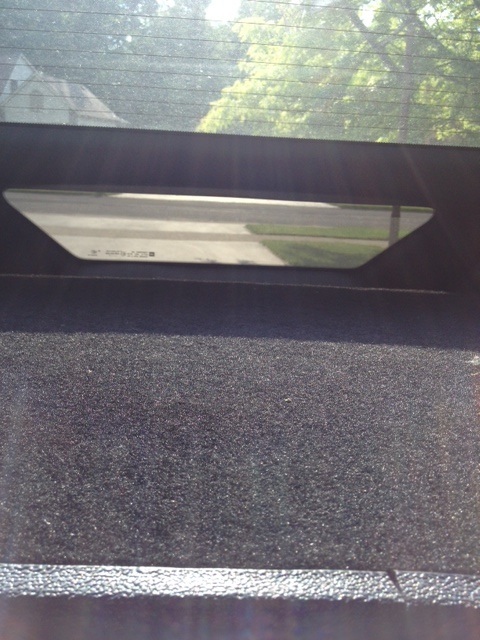 When combined with a VoltShelf, these noises just disappear and you car won't get any quieter. 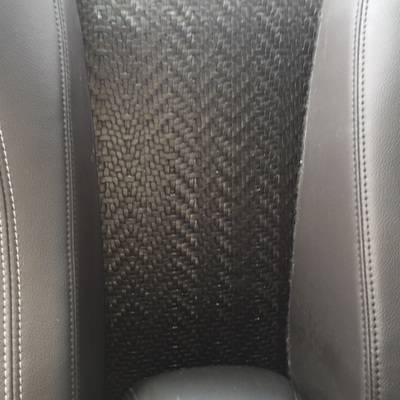 The VoltMat is now available in a plush jet black carpet or a rugged, ribbed charcoal gray (Pictured below). 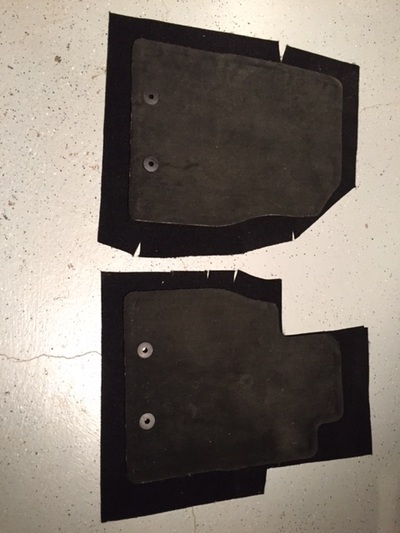 The same cut, The same features, just a choice of black for everyday use, and charcoal for more rugged use. 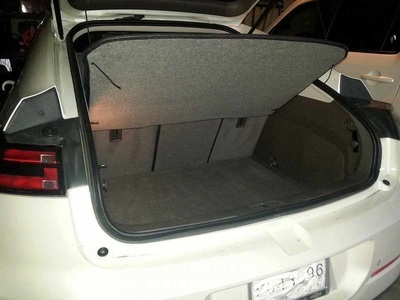 This was designed to be a far more affordable option to those big name trunk liners. 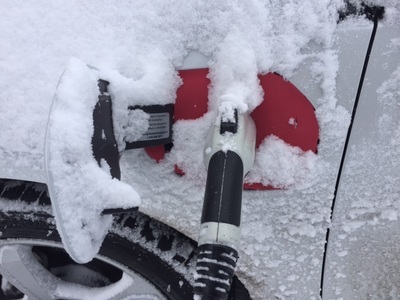 The VoltMat offers the same level of protection, easier installation and removal, great durability, is waterproof and completely washable, and look and fits better. All for about half the cost. What's not to like? 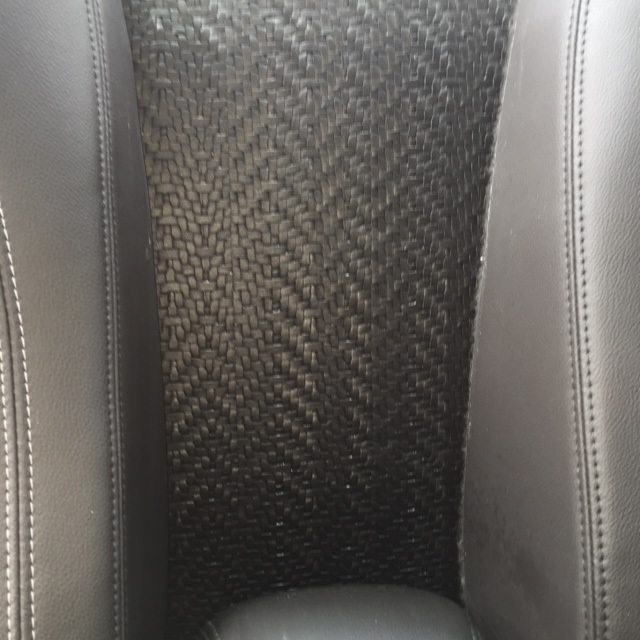 And we just added the all new ClarityMat for the Honda Clarity PHEV, as well. Same idea, same material, same full coverage for the trunk floor, and at a great price. This is so new that it is the only thing like it on the market today! The VoltMat is $60 including shipping in the Continental US. 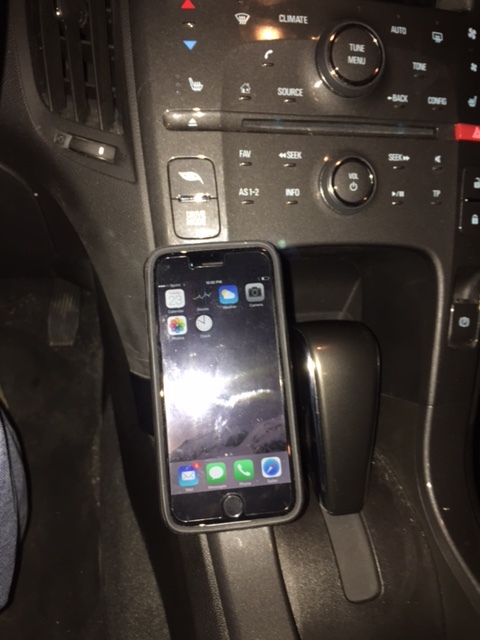 If purchased with a VoltShelf, $55. 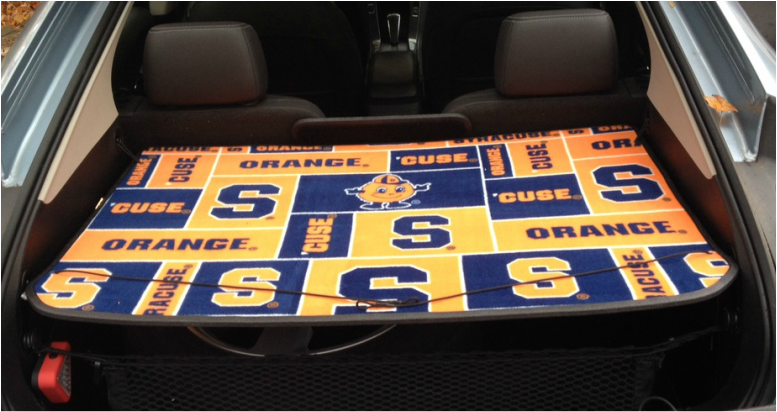 To order, email Stephen.ohara@Rochester.rr.com. 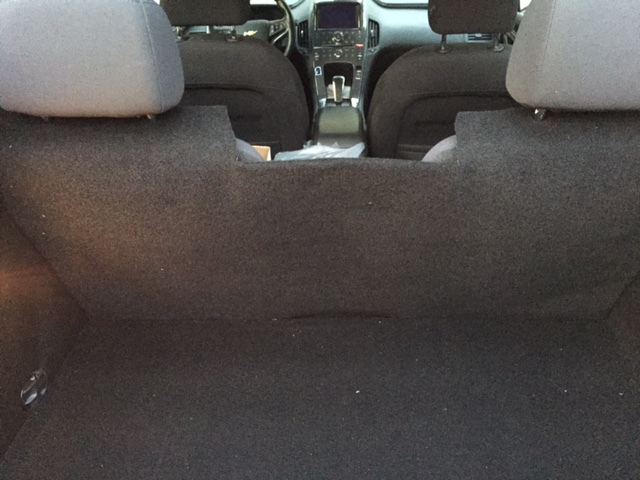 Be sure to specify the model year of your car so we can get the correct version to you. Need something bigger? 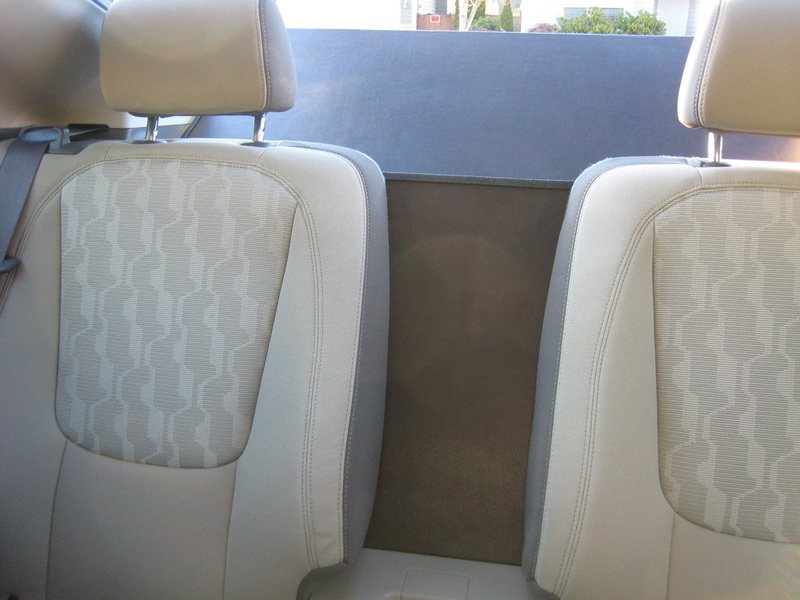 Want to protect the trunk and rear seats, too? Check out the VoltMat 2 on the separate VoltMat page.